Boss Bottled evokes the classic values of the successful, classic Boss man. 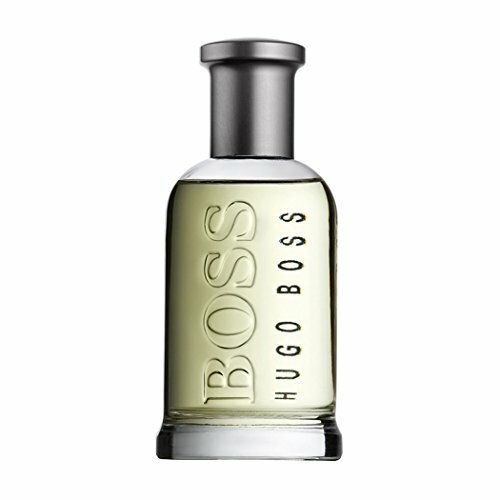 The simple, clean lines of the bottle are elegant yet stylish and unmistakably Boss.Boss Bottled is an oriental fougere fragrance. Its fresh top notes include apple and citrus fruits. In the heart, sweeter, warmer notes of geranium, cinnamon and cloves. In the base notes, dry spicy scents of sandalwood, vetiver, cedarwood, olivewood, amber and musk create a distinctly masculine dry down. Boss Bottled is the encapsulation of Boss in a fragrance.